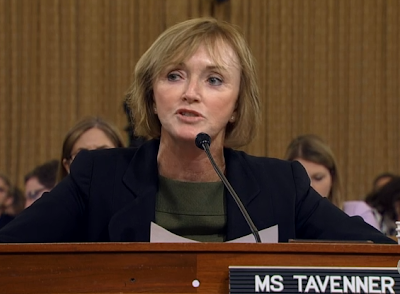 Marilyn Tavenner, the federal official who heads up the Center for Medicare and Medicaid Services (CMS) testified today before the House Ways and Means Committee. During this testimony she apologized for the numerous problems of the Affordable Care Act's (Obamacare) website. This apology is shown in the above video. A sincere apology is fundamentally an emotional act. It is not primarily an intellectual act or a legal act - if it is sincere. Thus an apology, if sincere, should NEVER be read. It should be extemporaneous and spoken from the heart - complete with stutters and verbal missteps. If it prepared by a third party and read aloud - it will NEVER be interpreted as sincere. One obvious consequence of reading from a prepared script is an incredible lack of eye contact. In this video apology, Ms. Tavenner looks very briefly at the audience multiple times and the longest of these lasted just over a second - the rest were all shorter (Of particular interest is when she speaks the word "apologize" - she only looks at the audience for the its fourth and final syllable - at the 0:10 mark). For maximum conveyance of rapport and sincerity, eye contact should be made for three to four second durations at specific people in the audience in a non-repetitive, random pattern - rather than for very evanescent segments as Ms. Tavenner exemplifies. The quality of Ms. Tavenner's voice is not at all sincere (elements of paralanguage). A school child could identify its absence here. However when reading from a script, particularly from a third person's composition, even in the presence of sincerity - an apology will not be interpreted sincere. Take note also of the complete lack of hand and arm movement. In body language parlance these are one type of what are termed "illustrators". A lack of or sudden decrease in illustrators has a high correlation of insincerity and deception. In addition and an overlapping issue is the lack of visibility of most of the the official's body. The higher the percentage of another's body that is hidden behind a table, lectern, etc. (particularly the hands or face) the less we trust them. Another fundamental nonverbal signal that is not seen here which is required for an apology to be sincere is contraction of the central forehead (aka CFC). The only exceptions for this is someone with significant injury/disease or excessive Botox usage. Those whose faces are treated with significant amounts of Botox are universally judged as less sincere - because their expressions are muted or absent. Incredibly, another body language finding here which indicates a lack of sincerity is a subtle (yet highly significant) "Self-Righteous Head Wiggle". Did you spot it? In summary, whenever judging another's sincerity quotient, always ask yourself if the verbal message, the vocal quality (paralanguage) and nonverbal signals are congruent. If they're not all in agreement - then their communication is insincere. Nonverbal Communication Analysis # 2207: Body Language, Sincerity and Mahmoud Abbas - United Nations grants Palestine "Nonmember Observer State"